I lifted broody hen and what did I find beneath? 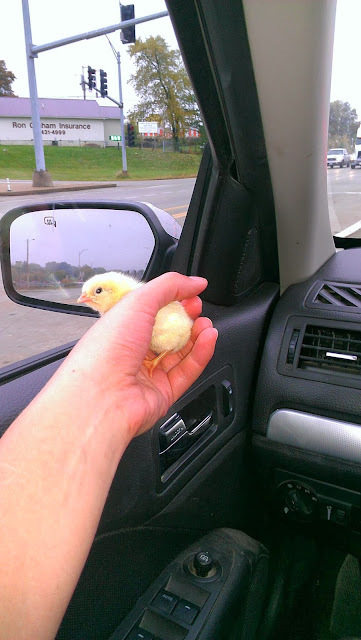 A fuzzy little yellow chick who peeped his bitty head off at me. I have to admit, I fell in love. I held him all the way over to his new home at Captain America's house. At less than 24 hours old he is already spoiled rotten. I kinda hope some siblings hatch, or I will have the world's most babies bird!